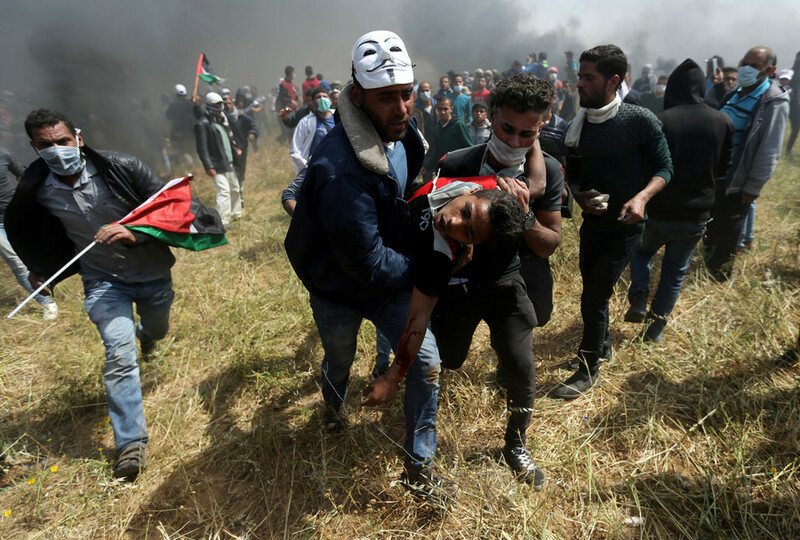 A Palestinian is dead and more than 150, including a Red Crescent volunteer, have been injured at protests at the Gaza border. The Great Return March has now seen 35 Palestinians killed and more than 1,000 wounded by Israeli fire. 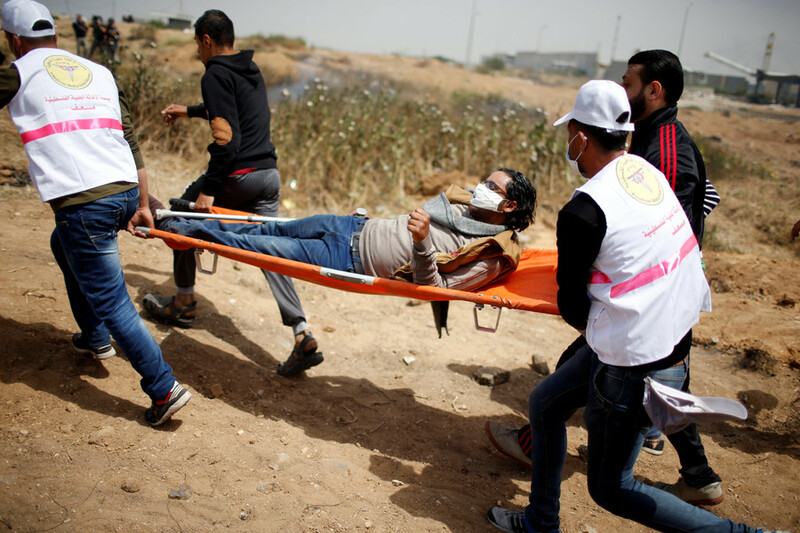 The Palestine Red Crescent Society reports that 153 people have been injured, with 63 of those hit by live ammunition. Fifty-nine have been treated for tear gas inhalation, and 24 hit directly by tear gas canisters. Seven people have also been wounded by shrapnel. A Red Crescent volunteer was shot in the knee in Rafah. Five protest encampments have been set up along the border. 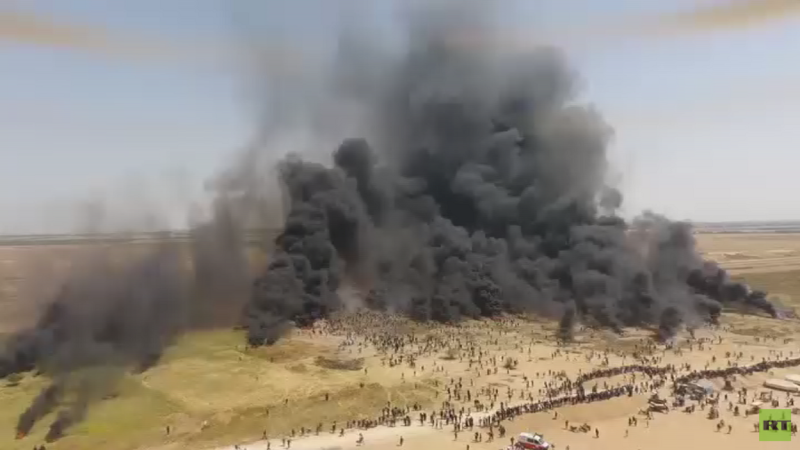 RT’s live feed from Rafah, in Gaza showed Palestinians have set tires alight to obstruct the view of Israeli forces. The six week Great Return March protest kicked off on March 30 and is planned to continue up until the anniversary of Nakba on May 15, which Palestinians refer to as the mass exodus from their land during the establishment of the state of Israel. Israelis celebrate this as Independence Day. 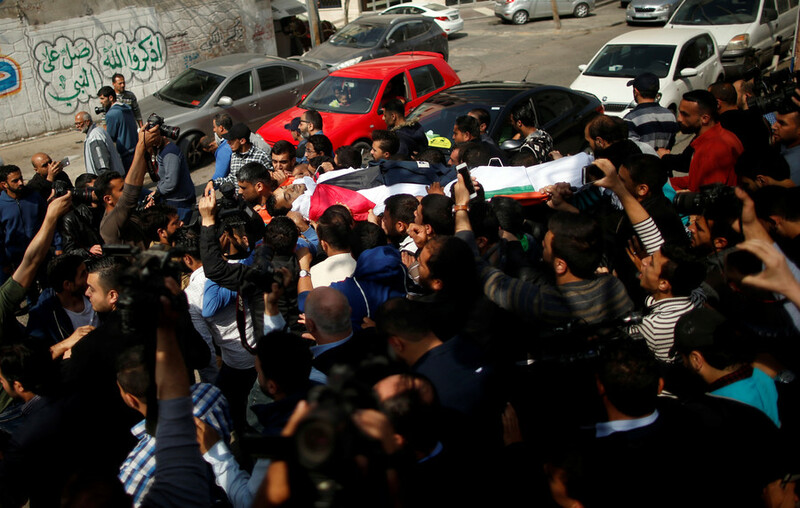 Ten Palestinians were killed in last Friday’s protests, including journalist Yasser Martaja and two teenagers. 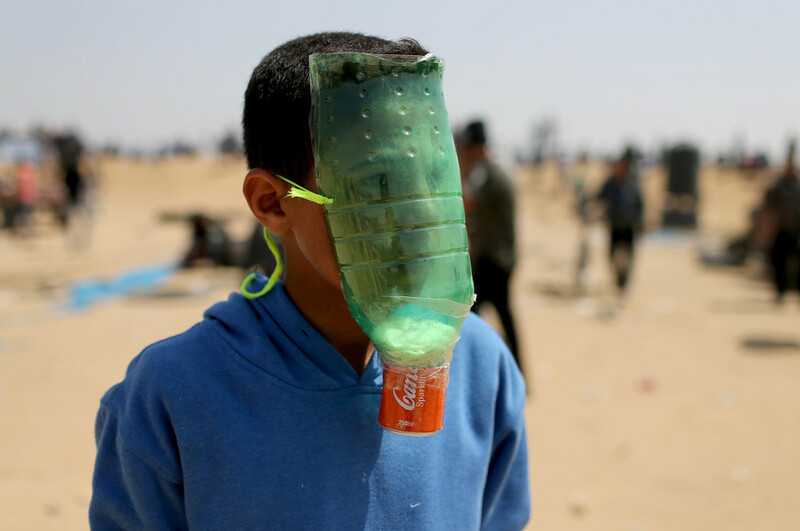 More than a thousand Gazans have also received treatment for tear gas inhalation. Footage filmed along the border during clashes on April 13 shows a person being rushed towards an ambulance on a stretcher. Other social media footage shows Palestinians drawing protest signs, flying a kite and firing a slingshot towards Israel. The IDF has been criticized for its use of force in response to the protests. 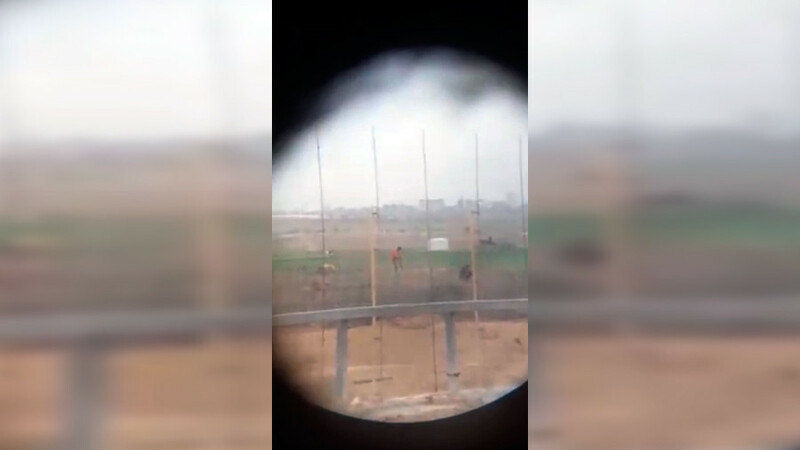 Footage from the demonstrations shows Israeli snipers gunning down unarmed protesters. The state maintains it’s protecting Israelis from Hamas terrorists. The Gaza Health Ministry has accused Israeli forces of targeting a health center in Khan Yunis with tear gas, which it says has hindered the work of medical crews. It shared footage on social media showing medics running from a tent, inside which smoke is visible. “Over the last hour, several attempts to harm or breach the security infrastructure took place. In addition, a number of attempted terror attacks occurred, during which an explosive device and firebombs were hurled,” the IDF said on Twitter.